I think summer in Minnesota has finally arrived. After a few rainy and chilly weeks, the sun and warm weather has returned. I’ve been thoroughly enjoying every opportunity I have to be outside – running, walking to get groceries, grilling, lunch breaks outside – it’s been so nice. Last weekend, I visited my family and celebrated my nephew’s 5th Birthday. It’s hard to believe he’s getting so big and will be starting kindergarten this fall. The Birthday party was superhero themed, so naturally I participated in a few “battles” with a superman cape, shield and sword. That evening, we grilled burgers for dinner and spent the evening enjoying our first bonfire of the year. The following day, I made sure to enjoy the sun on my parent’s deck before heading home. I always forget how fair-skinned I am and manage to get sunburned; oh well, that’s what aloe is for. 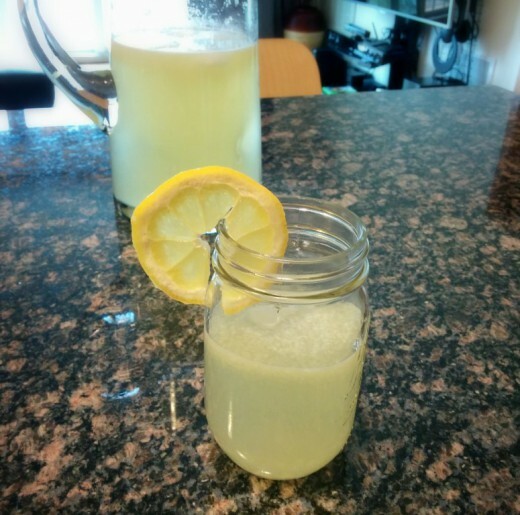 On warm summer days like those, one of the best things to enjoy is lemonade (besides ice cream, of course). And you know what’s even better than lemonade? 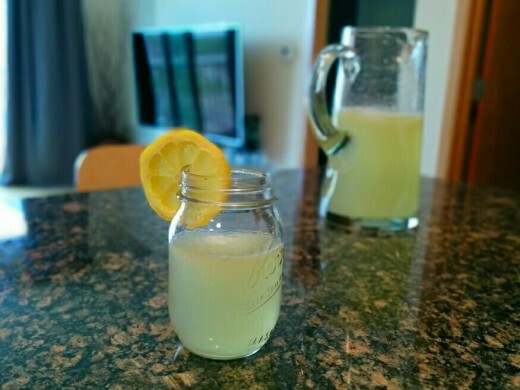 Homemade lemonade. It tastes so fresh, you can control how much sugar you add, and the best part: it’s so easy to make! First, prepare a simple syrup. 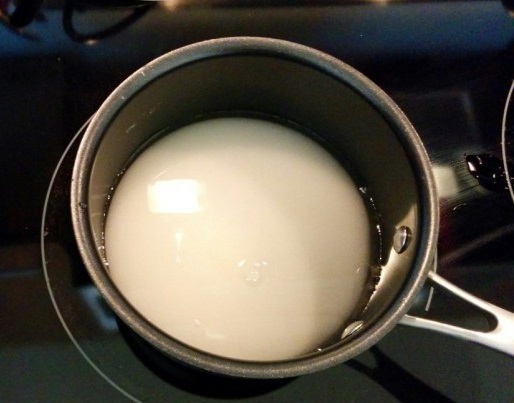 In a small saucepan, combine 1 cup sugar and 1 cup water and heat over medium-low heat. 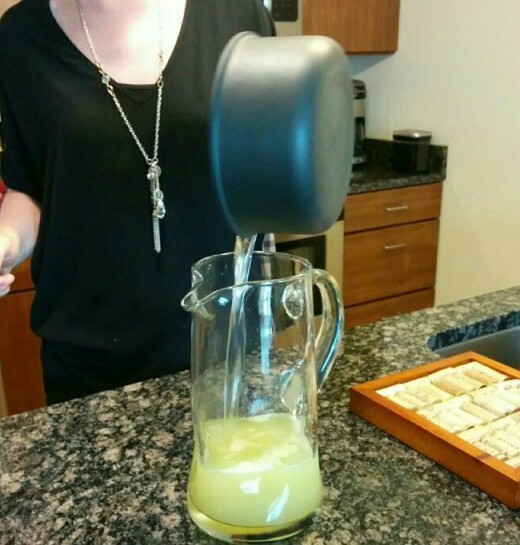 Stir frequently and continue heating until the sugar is fully dissolved. Set aside to cool. 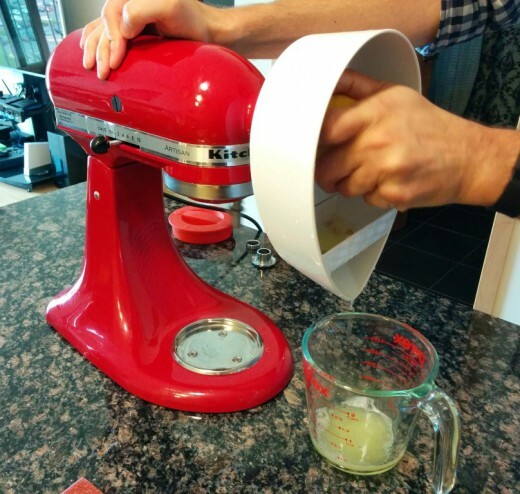 The Kitchenaid juicing attachment works very well, but you can also use a handheld citrus juicer or even just squeeze the lemons by hand. 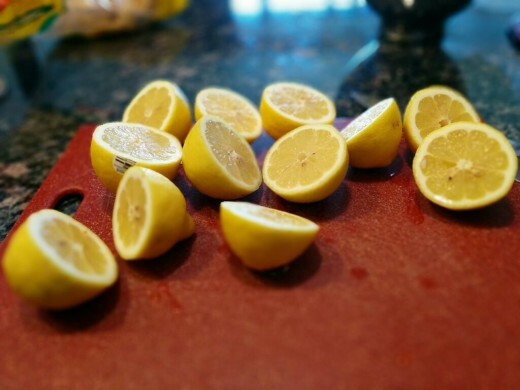 Continue juicing the lemons until you have about 2 cups fresh lemon juice. 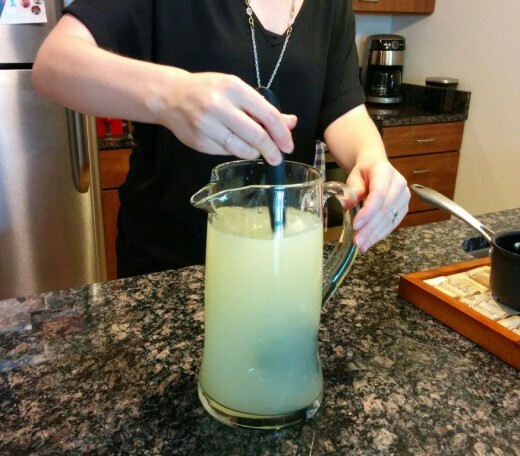 Pour the lemon juice into a tall pitcher. 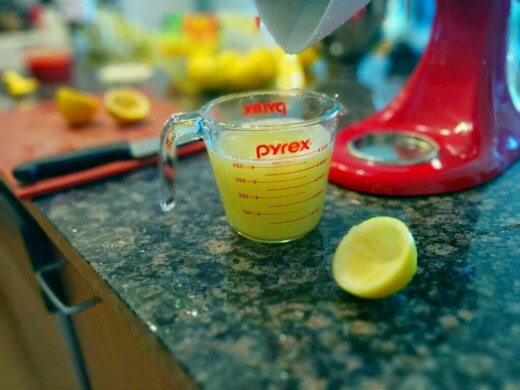 Slowly add the cooled simple syrup to the lemon juice. Finally, add 6 cups water and stir to combine all of the ingredients. 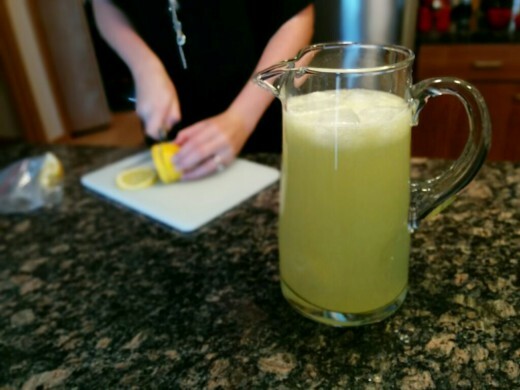 Serve with ice and garnish with fresh lemon slices before enjoying! What are your favorite warm weather drinks? Share below! 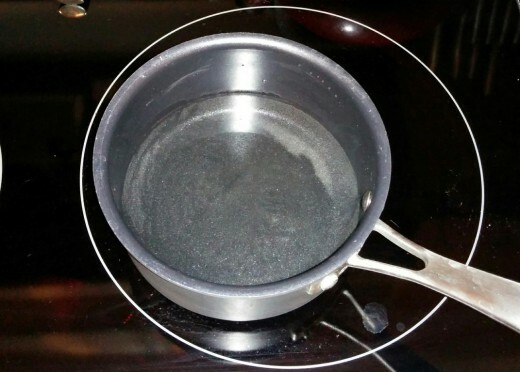 Create a simply syrup by heating water and sugar in a saucepan over medium-low heat until the sugar is fully dissolved. Set aside and let cool. 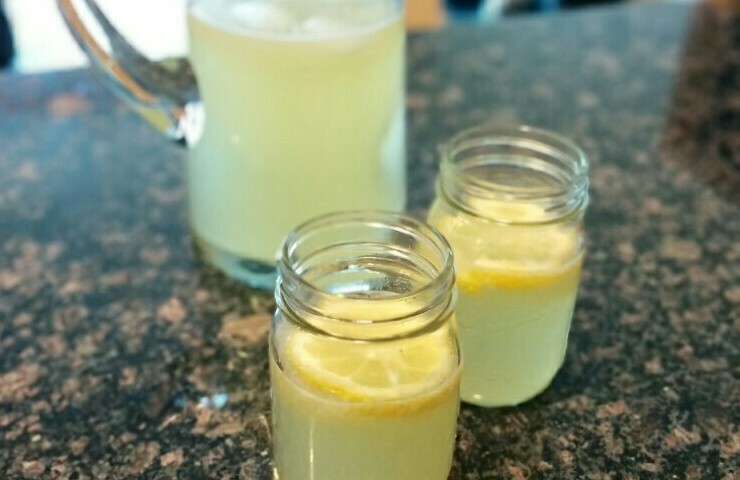 Juice the lemons until you have 2 cups freshly squeezed juice. 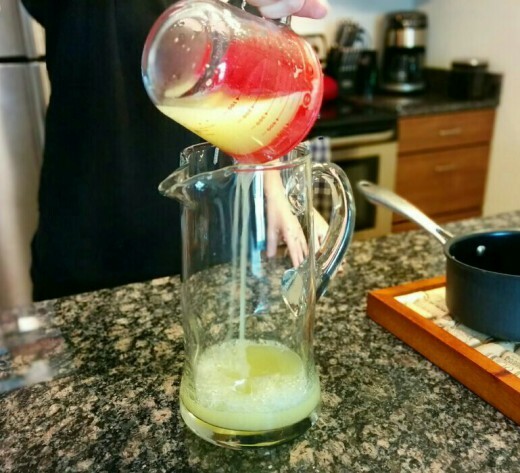 Add the lemon juice to a tall pitcher then slowly pour in simply syrup. Add in 6 cups water, then stir until all ingredients are combined.